Operational Transconductance Amplifier IC original HARRIS, DIP8, equivalent: AN6668 CA3080 LM3080 LM3080N ROB3080. 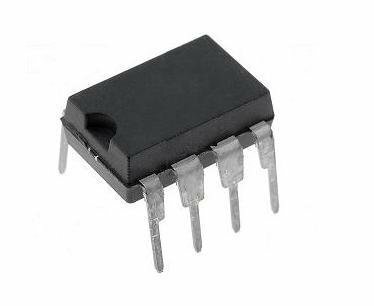 Operational Transconductance Amplifier, SO8 case, equivalent: 3080A 3080AM AN6668 CA3080 CA3080AM LM3080 LM3080N ROB3080. 8-Bit MCU programmable timer/event counter with overflow interrupt and 8-stage prescaler. Operating voltage: f sys = 4MHz: 2.2V~5.5V, f sys = 8MHz: 3.3V~5.5V. 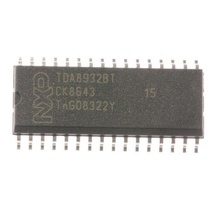 ROM 512x14 bit, RAM 32x8 bit, SDIP18. Power Supply Supervisor PWM Regulator, DIP20. Cross Reference: SG6105 SG6105T SG6105DZ System General.